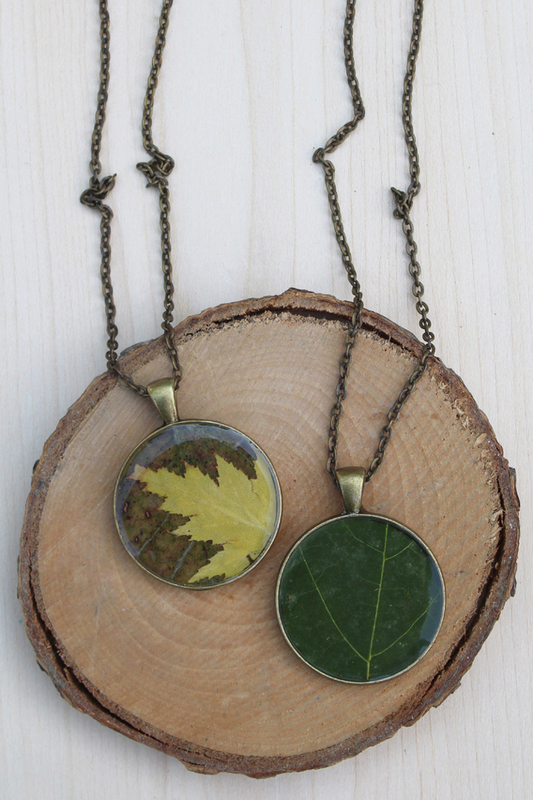 A leaf necklace is a perfect statement for Autumn! Hi friends, it’s Natalie from Doodlecraft, happy to be here today! 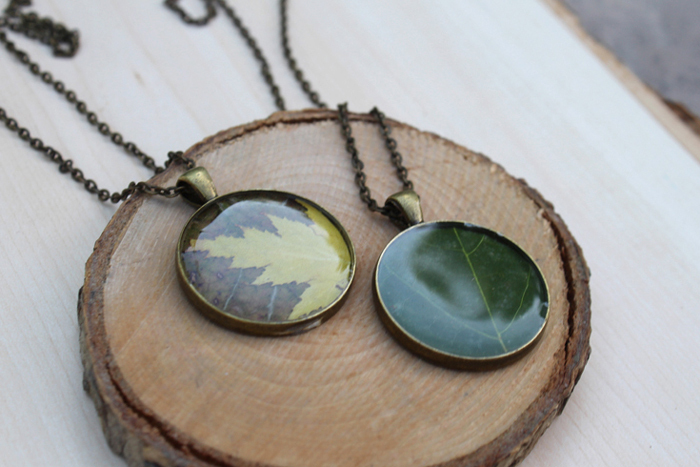 I love natural elements for jewelry, and a leaf is the perfect piece. 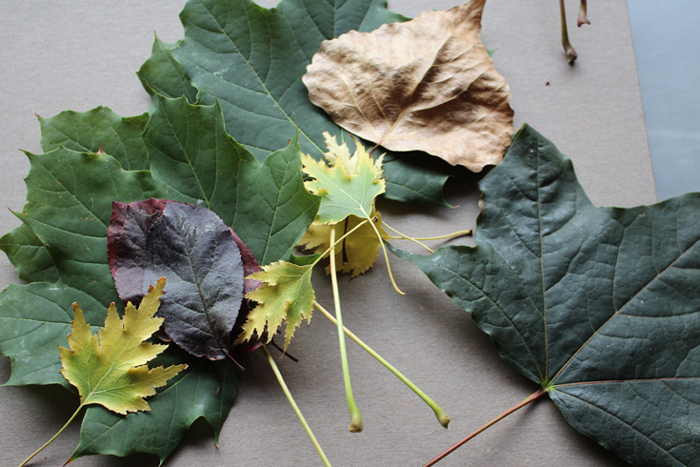 Leaves are everywhere, and as the seasons change, there are wide varieties of colors. Take a nature walk and collect a leaf or 2. Layer them between thick pieces of paper or cardboard and cover with a heavy book overnight. This will flatten the leaves and make them easy for cutting. 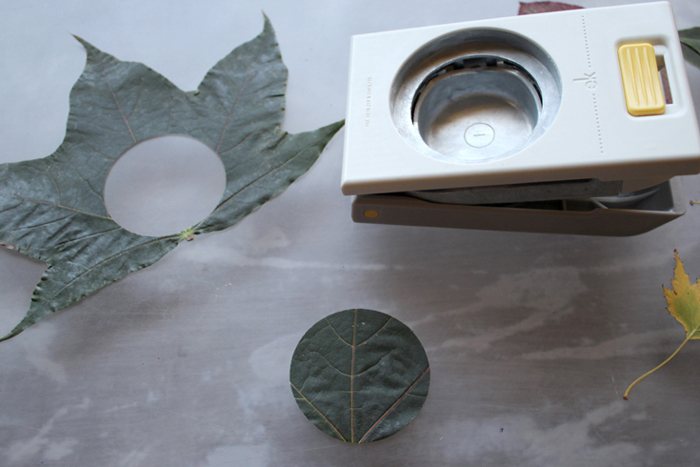 Once the leaf is pressed flat, use a hole punch to punch the perfect circle. Or cut them with scissors. 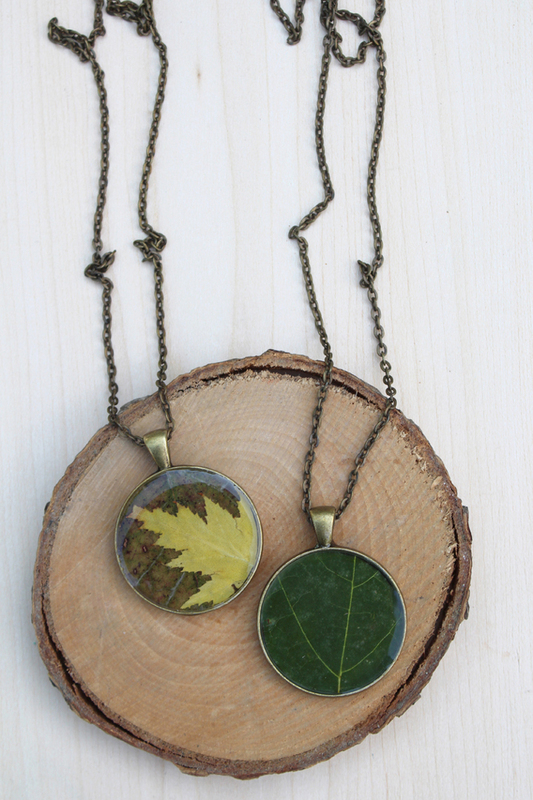 Fit the leaf right inside the bezel–they look amazing. Go ahead and stack smaller leaves on top for more contrast. 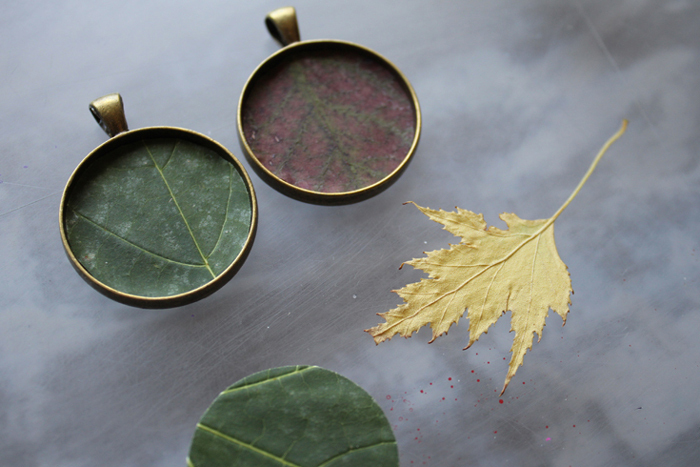 Use Ultra Seal Multi-Purpose Sealer to paint the bezel, add the leaf and then paint all over the leaves. 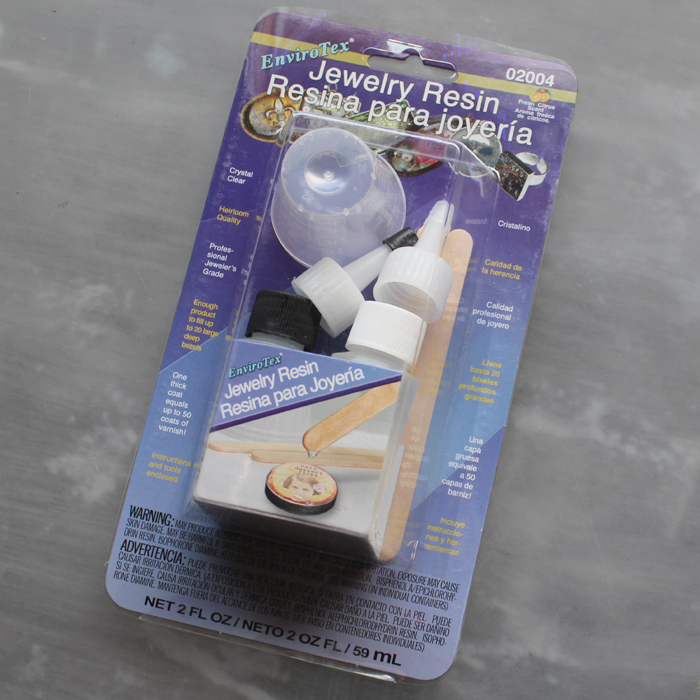 Let the sealer dry completely, then get out your Jewelry Resin. Read the instructions thoroughly and get your table set up for resin. Mix 1 part resin with 1 part hardener and mix in cups as directed. After mixing, pour the perfect amount of resin in the bezel. The resin should “dome” over the top edge of the bezel, but not pour off onto the table. Then let them sit for about 10 minutes. 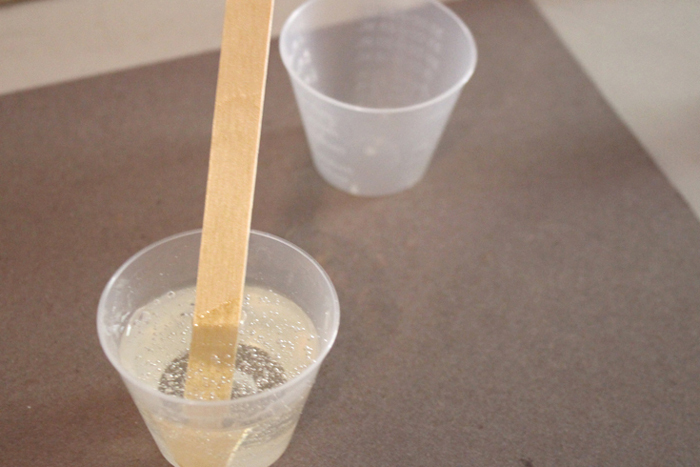 Next, use a mini torch or a heat gun to gently go over the resin and pop all the bubbles that formed from mixing. Then let the resin harden completely overnight. The resin will dry clear and shiny. 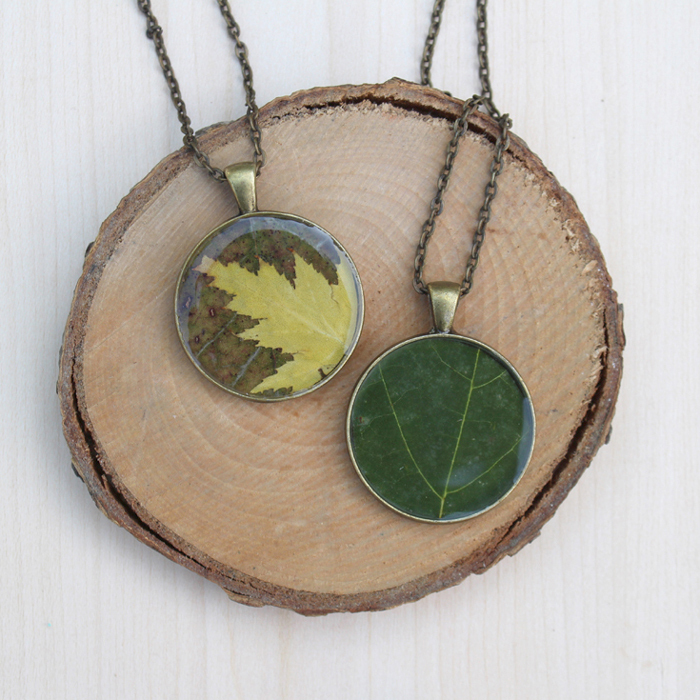 Amazing, stunning, wearable pieces of nature! They are gorgeous and make quite the statement! These would make a wonderful gift too! Just gorgeous. Perfectly earthy and boho! I would wear them stacked together I think 🙂 . 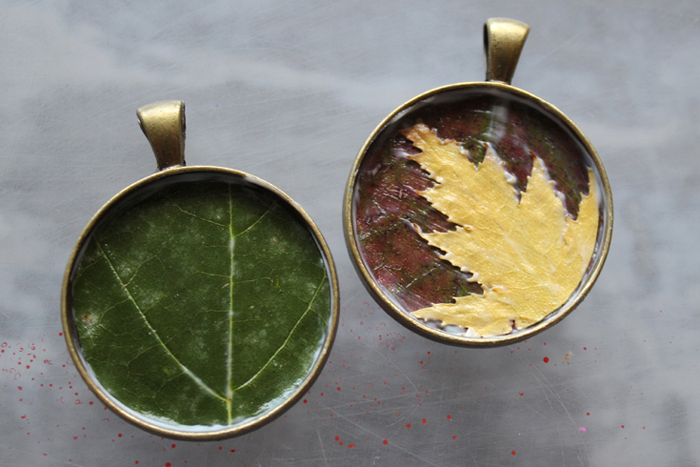 I’m finding that when I resin fresh leaves or flowers, they turn brown as the resin cures. I’m guessing from the heat? Have you had this situation, and do you have any tips to combat it? 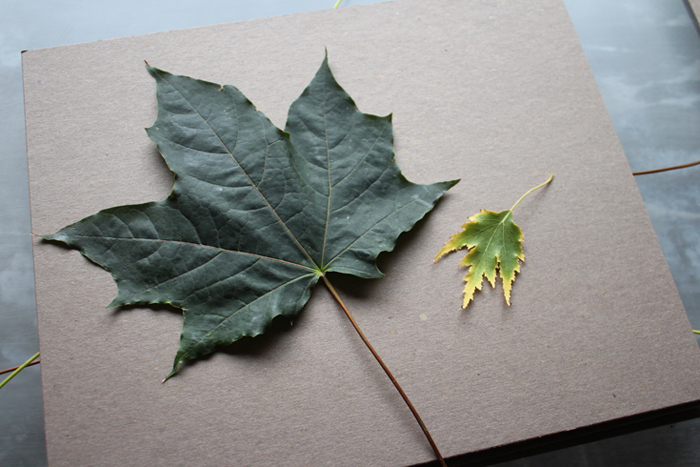 I had no browning of the leaves during the curing of the resin. 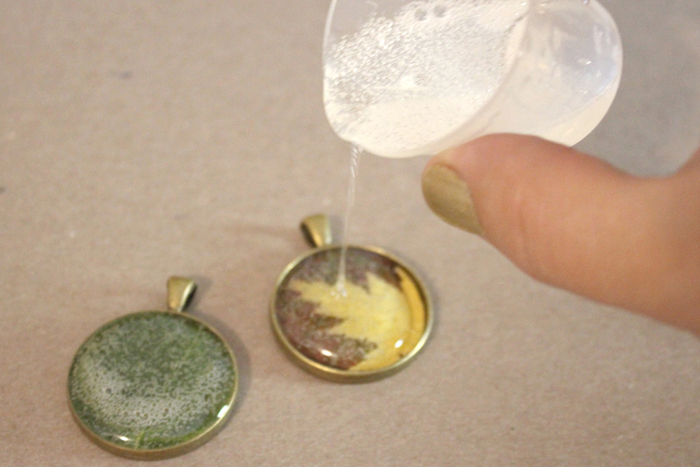 I used the ultra seal to coat all the leaves before pouring the resin on…did you do that step? That might make a difference. Hi there, all the tutorials I’ve seen about using flowers and leaves with resin say to dry them first. Do you not actually have to dry them?! Are there any adverse affects (molding or something) over time if you don’t dry them out first? Thanks for the guidance!